Ace Contractors is a full-service, honest, and reliable HVAC expert servicing the Mira Mesa community and beyond. We make it our business to represent integrity and efficiency in all of our client relations because we know how important those concepts are when you are in need. Thanks to the Mira Mesa community as well as the greater San Diego area, we can attest to operating our heating, cooling, and plumbing business in excess of fifty years. Over those years we have won places in the hearts and homes of more than 250,000 clients around Southern California. Just give us a call and we promise you won’t regret it! Modifying and repairing your water heater is just one of our top points of interest. We could perform regular maintenance to prevent more pricey issues or we can make ourselves available in helping you with a home redesign to setup a totally new unit. Everyone knows plumbing issues don’t always strike inside a convenient time. Call us around the clock, 24 hours a day to have a crew at your door in now time! Living in Mira Mesa with us right in your backyard, you shouldn’t be putting the correct and proper care of your AC into anyone’s hands but ours. For over half a century we have refined our HVAC skills and knowledge and we are now more than happy to put them to the test for you. 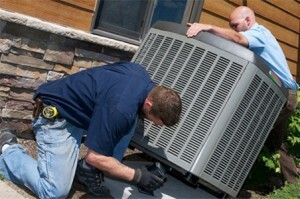 Call 1-888-231-1086 to have your air conditioning maintenance by the local HVAC experts at Ace. Ace Contractors is more than confident that our products and services will meet your approval. Our team members operate in an ethical responsible way when providing you with heating maintenance and repairs. We offer free estimates, give you everything in writing, and only invoice you for the services you actually need. Call us today for top quality HVAC assistance!